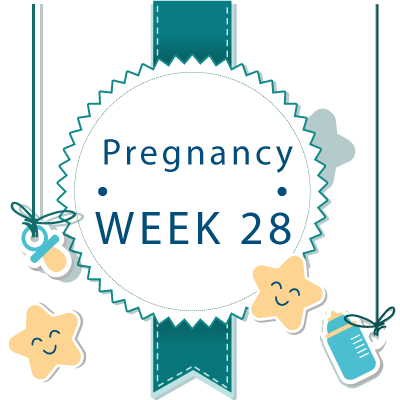 WEEK 28: Third Trimester Begins! With the onset on week 28, you’re officially entered into your third trimester. At this phase, you’re probably already experiencing lack of sleep, so you may want to find things to do if you find yourself waking up in the wee hours of the night. Although running a noisy vacuum in the middle of the night is not such a good idea, you may want to consider reading a book or listen to some soothing music. With regards to baby, they are as happy as you are to enter into the third trimester and similar in size to a cantaloupe melon. You may feel yourself trying to catch your breath at times, which is mainly due to your baby crowding your lungs and diaphragm. Try not to push too hard, and remember to take regular breaks. These are caused mostly due your fluctuating hormones, and there are several ways to deal with it including walking, swimming, yoga or a prenatal massage. At this week, your breasts have most likely already begun doing their job of producing milk also known as colostrum. Don’t be surprised if some of it already has begun leaking out before your baby gets to it. These initial contractions may be getting more noticeable and stronger, and even more frequent as your body prepares for labor. It is however important that you keep tabs on these contractions to ensure that they are only occasional, and if they are regular, contact your doctor immediately. There are a few things that are going to happen at your week 28 prenatal appointment starting with the measurement of your fundal height. This is a measurement of the distance from your pelvic bone to the top of your uterus, and should be roughly between 26 and 30 centimeters. Being between this normal range reassures you that your little munchkin’s growth is on track they are in the right position. 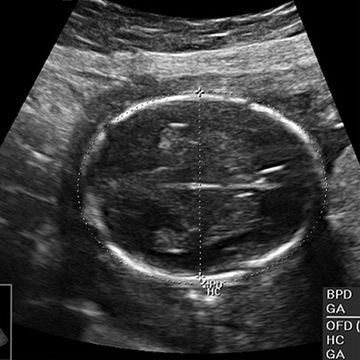 Take note that fundal height in most cases isn’t measured if you’re pregnant with twins owing to the fact that is challenging to estimate an average fundal height for twin pregnancies. Medical experts recommend that you start counting your baby’s kicks starting week 28 , because it will help you keep tabs on your baby’s movements to ensure they are consistent from day to day. If you’re not sure how to get started with kick counts, it’s pretty easy where you select a time of day and set a timer, and check how long it takes to reach 10 fetal movements. Ideally, this should be less than two hours, which means that your baby is pretty active and is on the right track with this phase of pregnancy. 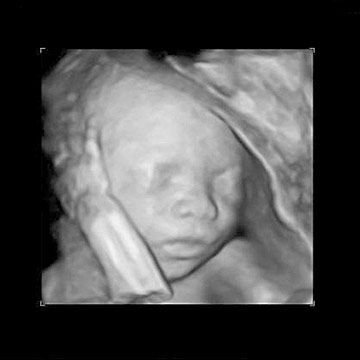 28th Week Pregnant Ultrasound - What to Expect ? When you’re 28 weeks pregnant, you will start to see your OB every two weeks or twice a month. You are not the only one putting on weight, but your baby is starting to develop more fat as well. After this week , your baby is pretty much developed, where they just require a few finishing touches before being ready to meet you. Even though you may be eager to take a peek inside your belly, it is not necessary to have more than a couple of ultrasounds all through your pregnancy. Your baby’s survival rate increases with each week that passes, and its skeleton and muscles are maturing fairly quickly. 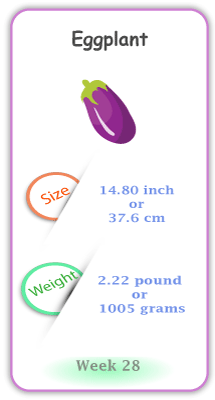 In terms of size, your baby when you’re 28 weeks pregnant weighs approximately 2.22 lbs and measures 14.80 inches . Although your baby’s heart rate must have slowed down a bit, it is still beating faster than yours at 140 beats per minute . Further, your baby has developed delicate eyelashes and its eyes can produce tears. If you feel any rhythmic sensations , it probably is your baby hiccupping, which is more or less a series of light jerks. Sometimes it may be hard to differentiate your baby’s hiccups from their other movements, so there’s no need to stress if you haven’t felt them yet.